We provide free Consultation & Shipping Estimates to international shippers, discuss & suggest them the options with no obligation and there is no cost to them until they decide to ship with us. It is all complimentary to international movers until they are satisfied, like our rates & have answers to all their questions. Their satisfaction is what we want and in between the job if one find us not as good as our competitor, they may stop using our service by just paying us for what we did till then. We help exporter/importer in suggesting best options available for shipping. There are many carriers, different rates of each, some are fast & some goes through many transhipment ports, each has different procedures & them taking too long in quoting freight rates with many different terms etc.. Considering so many factors, every exporter/importer must have a professional to just handle shipping. 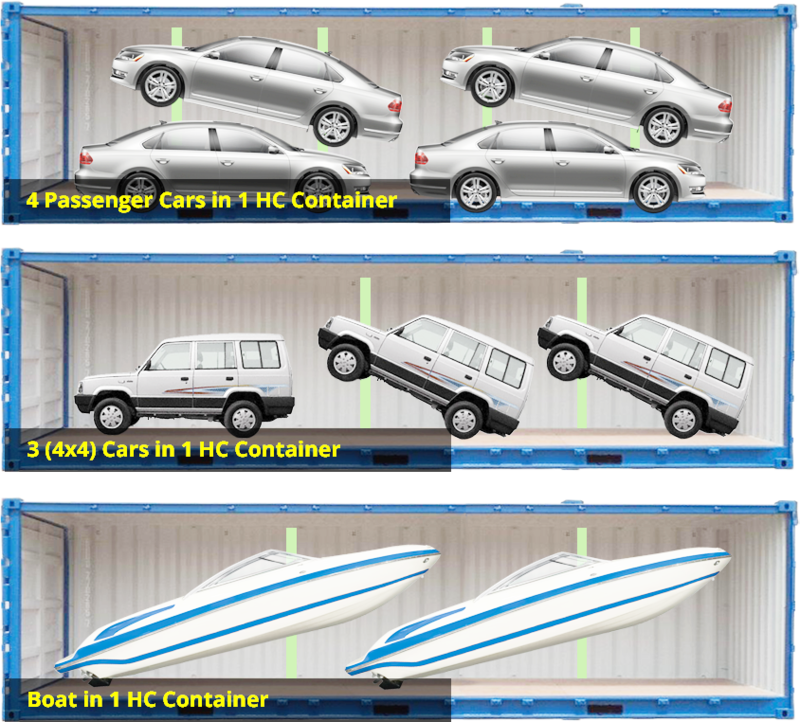 When shippers shipping international a Vehicle/Machinery, oversize unit etc., the selection becomes even more important to be right to avoid mistake as a single wrong coordination can cost a lot if not planned properly. Our dedicated staff helps shippers in arranging every step of shipping & moving arrangements With or without commercial or personal household goods From/To door of: Dealer, Auction site, Residence, Farm, Exhibition/Convention center, Race Track or a Factory etc. and any port of USA or the world. We are licensed to ship either one of the mode of transportation (see below). Our personnel's knowledge & expertise available under one roof with the experience from the past shipments saves lot of time of our client in making a choice and getting to final decision which suits the best to them. Entrepreneurs participating in shows, exhibitions etc. Buy/Sell, Carnet, Moving, Temporary move, Tourist. During the process of transportation & movement of your shipment, you will find us experienced in handling Packing, Loading, Lifting, Blocking, Bracing, Partial un-assembly to fit in container, Crating, domestic transportation to port/warehouse etc..
At all ports & almost at every major USA city, we have warehouse to arrange, if required - Consolidate your cargo to accumulate multiple shipments before it is ready to load in container. The same goes for arranging and handling of required documentation & process thereof - Customs (Title validation, SED/AES), DMV (Department of Motor Vehicles), EPA (Environmental Protection Agency), Inspection / Surveys, Fumigation, Moisture control, Certificate of Origin, Insurance required by Exhibition/Convention/Race Tracks etc.